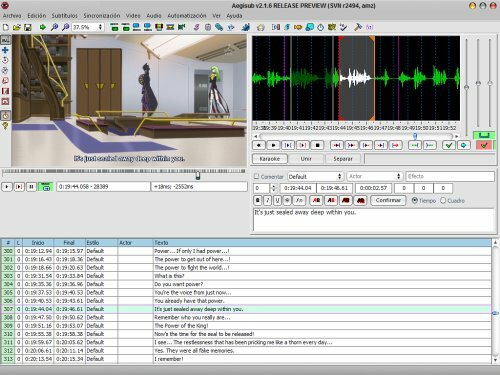 The Mondo Agit agency provides subtitling or captioning services for all types of video and company presentations from or to the required languages, such as English, German, French, Italian or Spanish. The technique of subtitling is usually used when the video is in a language that the audience or a part of the audience does not understand (either because it does not know the language or because of physical disabilities) and when for questions of style or price the client does not want to dub the video (replacing the original voice with another speaking the target language). If the company wishes to contract a subtitling service, it need only send us the video to be subtitled by internet or by messenger so that we can draw up a quote. Once our quote has been accepted, our professional translators specialising in subtitling will start translating and cutting the texts in accordance with the rules and techniques of subtitling. Of course, we always work with translators and proof readers who are native speakers of the target language. Finally, when our technicians have included the subtitles in the video appropriately and the translator and reviser have reviewed the work, we will send the files by internet or via a messenger service. We offer our subtitling service in all the most commonly spoken languages. Languages we work with at Mondo Agit. A subtitle is a set of text that appears below an image, providing extra information on what is shown or translating a narrative or dialogue carried out in a foreign language. There is an ongoing debate surrounding dubbing and subtitling: which really is better? Well, at Mondo Agit, we believe that each case is different, depending on how you want to communicate the information. Advantages of subtitling include that the original voice of the actor/speaker remains unchanged, and that people with hearing difficulties have access to all the information on screen. On the other hand, subtitles take up space within the frame and distract viewers from what is going on. Subtitling a video doesn’t just require a simple translation. The translator must synthesise, adapt and even cut out many rhetorical elements of natural speech: discourse markers, hesitation and pauses, regional accents, local words or slang, dialecticisms, sarcasm, deliberate circumlocutions, the omission of words, etc. Depending on the film and the amount of dialogue it contains, up to 75% of the word count may be omitted in its subtitles. 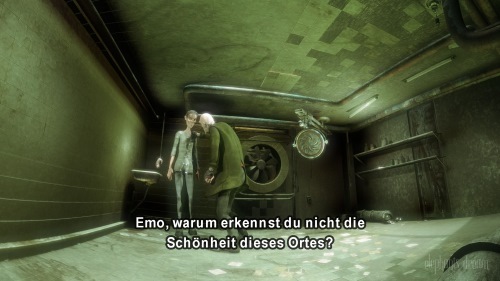 This is the translator’s main challenge when subtitling: effectively conveying the message in as few words as possible. Though not all subtitling experts work in the same way, most carry out a natural translation and, following a critical proofreading, begin to synthesise the text, cutting out any elements necessary to make the optimum character count. Firstly, any excess or redundant words, hesitations, pauses, interjections or other unnecessary elements which do not affect the meaning are taken out, even though their removal may lessen the nuance of the message (its emphatic, ironic or colloquial nature). Then, any parts of the sentence that may be implied are removed and abbreviated, as the viewer already has the benefit of visual or contextual information. Finally, and in the worst-case scenario, if the core meaning of the sentence has been lost or affected by the previous steps, it may be necessary to modify the conjugation of verbs and syntax of the sentence, incorporate shorter words that convey the same or a similar meaning to those used originally, and leave out predicates or subjects, to be replaced by brief and direct references in the third person to either people or concepts on screen.